Sue Straight, a wine DTC professional, freelance writer and wine judge, leads a wine-drenched life. She is enjoying a career that spans over 30 years in sales, marketing and management with wineries that include Windsor, Foppiano, Fieldstone, White Oak, Lambert Bridge, Limerick Lane, Hop Kiln, Clos Pegase, J. Rickards, Martin Ray, Signorello Estate, Keller Estate, Trentadue and Chateau Diana. Sue recently joined Oakville Grocery in Healdsburg to head up their Wine Department. Sue writes for Wine Country This Week, does freelance writing projects and writes her own wine blog, www.wine-wench.com. 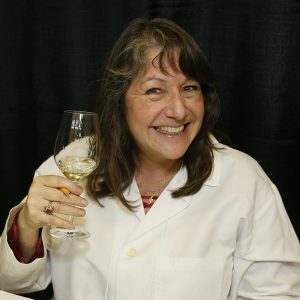 Throughout her career, Sue has judged numerous wine competitions, including the San Francisco Chronicle International Wine Competition, The International Women’s Wine Competition, The Pacific Rim Wine Competition, The Grand Harvest Awards, the Lake County Wine Competition and The El Dorado County Fair Wine Competition. Contact Sue via email at Susie.winewench@gmail.com.